I love a good buffet. I also love breakfast. So when I was invited to review the breakfast buffet at the Manly Deck, it seemed like a dream come true. The Manly Deck is a bar and restaurant located smack bang in the middle of Cambridge Parade in picturesque Manly. 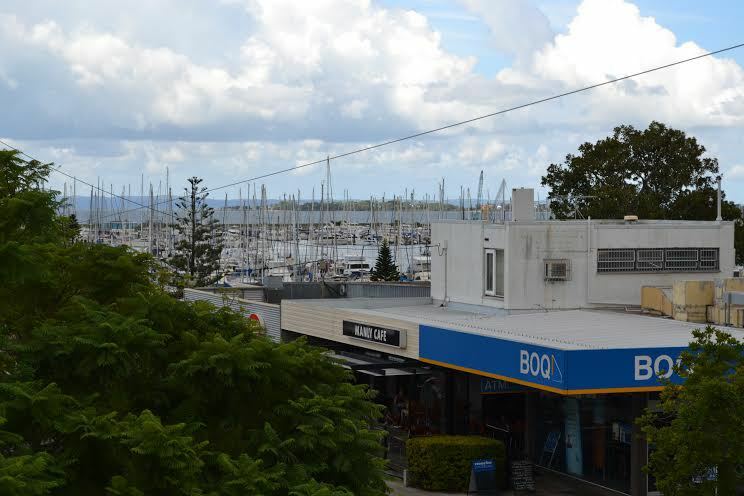 It is perfectly located as a coffee and breakfast stop off for the market-goers, families and boaters who descend upon the waterfront every weekend. 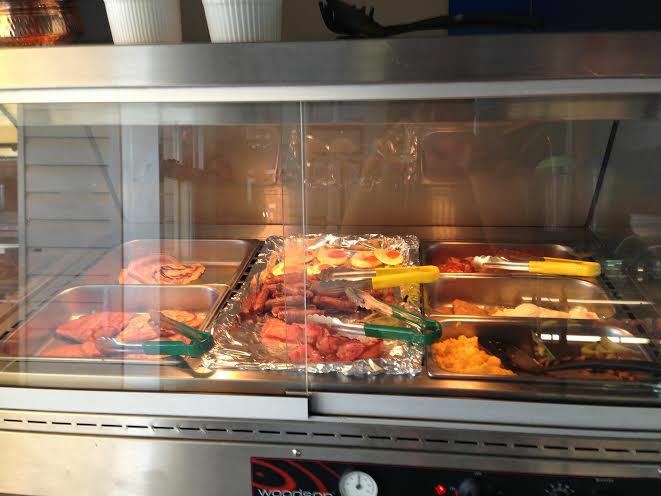 Their Buffet Breakfast is open for business on Saturday and Sunday mornings from 8.30am until 11.00am. The last time I went to the Manly Deck was on a Sunday morning and it was standing room only. This time, on a Saturday, it was nearly empty and my party grabbed the best table out on the deck. From my seat, I could see over the rooftops to the bay and the islands. At the Manly Deck, the price gets a big tick from me – only $12 for a hot and cold buffet. The variety is good too. 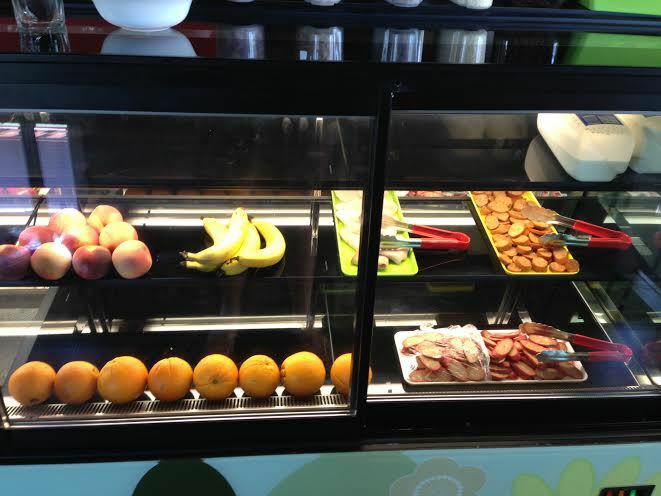 You've got your traditional options – cereal, toast, juice, fruit – and all your favourites as well – bacon, eggs, pancakes, hash browns, sausages. There's also a few surprises, such as corn fritters and a homemade tomato relish. You've got all the fixings to make yourself a big breakfast or eggs Benedict, or you can just load your plate up. At such a low price point, you'd think that the quality would be suffering, but happily, it wasn't. Everything was tasty and fresh – well, as fresh as a buffet can possibly be. There were a couple of standouts for me. The corn fritters were incredible, light and fluffy and made from fresh, supersweet corn, and the hollandaise sauce... to quote Homer Simpson, I could have had a bowlful of it by itself. I usually find hollandaise a little too vinegar-y but this was smooth and creamy, the way a hollandaise sauce should be. I would return for either of those items alone. The service was good, a nice compromise between being attended to and being bothered. My only complaint is that the coffee included in the buffet is the instant kind so if you want a proper coffee, you need to order and pay for it separately. It's well worth it, as their flat whites are very, very good. For a cheap and tasty start to your day, you'll be hard pressed to find a better deal than the Manly Deck. Sounds like a great deal. Is it an all you can eat buffet, or just one plateful. The price is superb if it is all you can eat.